The two new SSDs are X25M SATA parts weighing in at 80GB and 160GB, and they're meant to replace Intel's existing X25M drives in those capacities, but at 60 percent less cost and with better performance. The 80GB X25-M is $225 in lots of 1,000 (down from $595), and the 160GB is $440 (from $945). That's some serious discounting, and it may well drive even more SSD uptake in the coming quarters despite the ongoing IT spending crunch. 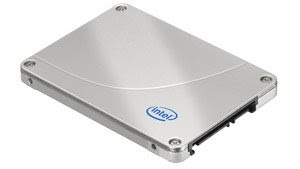 The yawning gap between SSD performance and HDD performance is behind the push to SSD-specific interfaces on I/O hubs now, like with Intel's upcoming Pine Trail platform. The Intel new drives boast a 25 percent reduction in read latency, which was already about 60x speed of an average hard disk write performance also doubled with this new generation..
Intel has announced two new solid state disk drives made on its leading-edge 34nm process. It's also the case that the 34nm transition was in the works well before the financial crisis. So Intel has gone ahead and brought that capacity online and they're going to use it to make what everyone wants right now i.e., cheaper storage, better performances, etc. Now Intel could even be making a bit more profit on each drive even while passing considerable savings on to customers. Noticeably absent from the announcement is a high-capacity 320GB drive, which many were expecting. A 320GB drive would be an expensive, premium product of the sort that nobody is buying right now so it is not tapped-out consumers. So instead of trying to sell a high-end SSD, Intel took advantage by cut the cost of making its existing flash products so that it could lower the price and sell more of them into a price-sensitive market. I bought a new computer this weekend and I got Norton 360 preinstalled in it. My computer configuration was very high. But my computer’s performance was very slow day by day. I uninstalled Norton and my computer’s performance rocked. However, I don’t want my computer to get affected by virus and latest threats. I was searching for a better anti-virus and at the same time, it should also not slow down my PC’s performance. The answer was VIPRE. 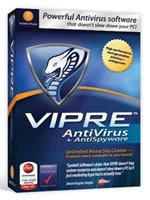 VIPRE Antivirus Software is fast and light. VIPRE is a new product in the computer protection market that combines anti-spy ware, antivirus, anti-root kit, and other protection into a flawless, tightly-integrated product that offers you the powerful protection against today’s highly complex malware threats which are changing every day by means of system scans, real-time monitoring with Active Protection™, email protection, and threat data integration. This is a new product and there is a free 15-day working trial of the product. The ultimate thing was it doesn’t make the PC slow.